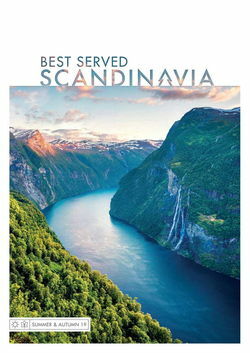 Scandinavia is an outdoor playground built for everyone, with landscapes offering family fun year-round, be it whale watching off the coast of Norway or husky sledding in Lapland. Of course, in the winter, little ones are going to relish a visit to Santa himself where reindeer rides and friendly elves make for an unforgettable Christmas holiday. There are plenty of options for family hotels in Scandinavia, but here are some of our favourites. Malangen Resort – positioned as a gateway to Norway’s Arctic region – is an ideal choice for fanily fun. 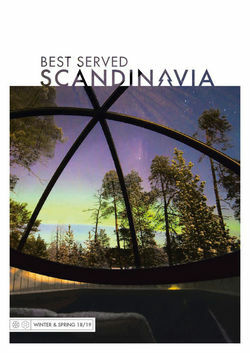 It sits on the shores of the majestic Malangenfjord, making for superb views that stretch over 60 kilometres of water. 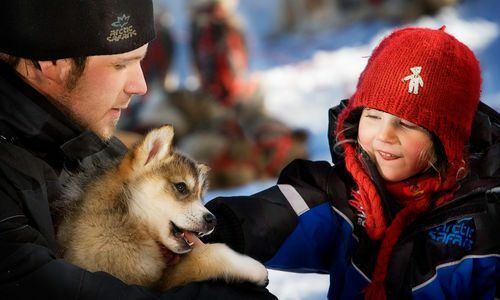 In winter, there are dog sledding and snowmobile safaris that are sure to entertain little and adult kids alike, and if you’re staying for the festive season, classically trained chefs will focus their considerable talents on preparing kingly feasts. Out of all the snow hotels on offer, Norway's Kirkenes Snowhotel is probably best set up for children. Staying in a room made out of ice – expertly-carved and complete with ice decorations and statues – is a truly unforgettable experience, with interiors lit up with iridescent blues and set aglow with soft whites. 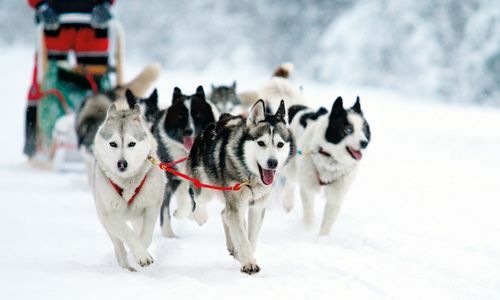 You can even get a husky sled to meet you at the airport to bring you to your accommodation. However, as it’s quite cold in the hotel, it’s not recommended for under sevens. In wintertime, upgrade your Christmas with a luxury family holiday in Lapland, where elves lead the way to log cabins. You’ll be treated to cookie baking fun – try the traditional Finnish gingerbread – before hopping on a sleigh pulled by snowmobiles to search for Santa on a private family visit. The next day, tuck into pancakes and hot drinks after paying a visit to the local reindeer where you can try your hand at lasso throwing. In the evening, you’ll create your own Christmas decorations and even stockings before a Christmas Day buffet feast – though you don't have to stay on December 25th to get the all-important experience. The Northern Lights are a spectacle whether you’re nine or ninety. As a natural phenomenon caused by electrically charged solar particles colliding with gaseous particles in the earth’s atmosphere, not only are they a once-in-a-lifetime visual delight but they’re also a pre-packaged science lesson. However, as they’re reliant on being picked out against the black of the night’s sky, be sure to look to the winter months – when the lights are at their most active and the sun sets early, meaning no missed bedtimes. For a summer holiday with children or teenagers, a fjord cruise is a great way to make sure everyone is together, while still enjoying some space and getting plenty of fresh air. 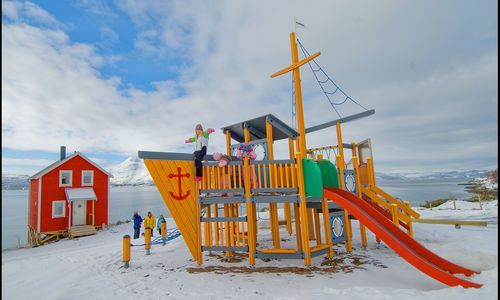 Our classic Hurtigruten voyage is a favourite, but since we specialise in tailor-made travel, any of our travel consultants would be happy to help you build the perfect trip for your family. 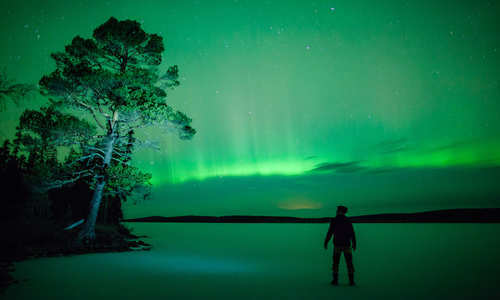 Each year, Finland's snowy expanses turn into a playground for young and old alike whether you’re staying in a traditional log cabin or glass-roofed bubble. Whether it’s a quest into the snowy north or a getaway at a summery log cabin, Norway has much to offer for family friendly holidays. 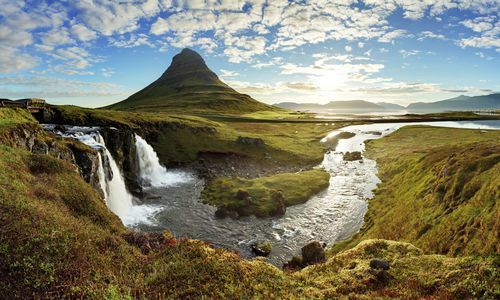 Big kids and little ones won't fail to be spellbound by the mesmerising waterfalls, huffing geysers and Northern Lights that Iceland provides in abundance. While older children might enjoy the inimitable cool of Sweden's cities, all will be charmed by its winter activities and unique stays in modern treehouses and fascinating ice hotels.